CasinoBonusNews → Casino news → "Bgo Casino offers a new Playtech slot machine Batman & The Penguin Prize"
Batman & The Penguin Prize is a new online slot powered by Playtech and introduced by Bgo Casino. It’s one of the popular Batman themed slot machines released by Playtech, and they keep attracting more players worldwide. The good news is that you can benefit from more than 4000 ways to win and excellent super symbols on your reels. Basically, it’s the latest release of Playtech, and Batman & The Penguin Prize is an online slot with 4 progressive jackpots waiting for lucky players. 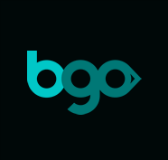 You can play it at Bgo Casino, and its theme is inspired by the famous TV series. This slot machine comes with 6 reels and 4 rows, so its gameplay is unusual. Feel free to play it for as low as 25p per 1 spin on all compatible devices. There are different vivid symbols that you can see on your reels, including popular movie characters, like Batman, Penguin, Robin, and others. This interesting casino game comes with a great bonus or Penguin respins. Test your luck and benefit from more than 4000 ways to win while having a lot of fun. Your basic target is to trigger 4 progressive jackpots powered by Playtech to end up with huge winnings. This online slot is already waiting for you at Bgo Casino with many other fantastic games.